FORMER eTeck chairman Ken Julien and five directors have lost their appeal of a ruling of the local appellate court which paved the way for the special purpose company to pursue a claim against them for a 2005 investment. In a written decision, five Privy Council judges threw out all four grounds of appeal argued by attorneys representing Julien and the others. They faulted the local courts ruling that enables directors of state companies to be held accountable for not abiding by their duties, regardless of when they held office. Legal action was initiated against former eTeck chairman Ken Julien, and directors Dr Rene Monteil, Brian Copeland, Ulric Mc Nicols, Eugene Tiah, Sonia Noel in a bid to recover US$5 million arising out of an investment in a China-based company, Bamboo Networks Limited (BNL), in 2005, to develop eTeck’s information technology business venture, as part of the previous PNM regime’s diversification of the country’s downstream industries. Separate rulings of the High Court and the Appeal Court rulings paved the way eTeck’s lawsuit against eight former directors to proceed to trial. In his ruling, which was upheld by the higher court, Justice Devindra Rampersad held that the four-year limitation provisions set out by the Companies Act, which are intended to liberate a litigant from the oppression of defending a stale and dated claim, was not a bar to bring legal action if it could be shown that the alleged wrongdoer was in control of a company at the material time. In their decision, Lords Kerr, Reed, Hughes, Lloyd-Jones and Briggs said it was common ground that eteck suffered an immediate loss upon making the investment in Bamboo Networks. They upheld the local courts’ findings. Attorneys for Julien and the others argued that the Court of Appeal did not consider that the deal was subject to Cabinet approval. They also said eTeck had a chance to put forward a case on the discoverability point but did not and the case should not be sent back to the High Court. Julien and the others were represented by Peter Knox,SC, and John Jeremie,SC, while James Guthrie,QC, represented eTeck. 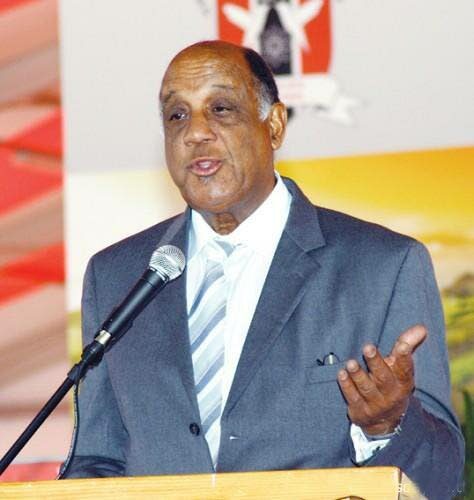 Reply to "Ken Julien loses in Privy Council"